VIDEO - PUMA: A New AC Milan has risen from the flames! 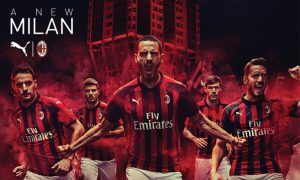 Home / International Football / Italy / VIDEO – PUMA: A New AC Milan has risen from the flames! VIDEO – PUMA: A New AC Milan has risen from the flames! Fuelled by the energy of the fans, the youth, and the culture of the city, a New AS Milan will rise as they start their partnership with PUMA. Previous Reliance Foundation Youth Sports registrations in Jamshedpur now open! Next NorthEast United FC sign striker Bartholomew Ogbeche of Nigeria!